It’s a dreary Wednesday morning. Theresa May has suffered the biggest defeat in parliamentary history. Her Brexit deal, which was two years in the making, has been voted down – and it’s back to the drawing board. To many members of the public it seems like a wasted two years and no one really knows what’s going on anymore. We’ve witnessed so much talk surrounding Brexit over these past two years but what we don’t see on the news is how Brexit is going to affect our own communities. What about the small working towns filled with single parents and families struggling to make ends meet? What does Brexit mean for students and what opportunities will they lose out on? We know that Brexit is going to have a huge impact on the UK as a whole, but what will be the impact on our own lives? We took to the streets in Westhoughton in Bolton to find out what the residents of this little town think about Brexit. 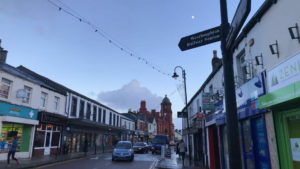 Across the north, small towns like Westhoughton predominantly voted leave in 2016, but these are likely to be the communities hid hardest by the loss of the EU. In 2016 all 16 Lancashire constituencies voted to leave the European Union. But after seeing that the actual act of leaving is no easy feat, four of those constituencies now firmly want to remain and the other 12 have seen a polling shift towards remain. In September last year, a poll in Hull North produced the largest swing in the country from leave to remain, with 52.4 per cent of voters saying they would vote to stay in the EU if there was a second referendum. In another poll, Sheffield Brightside and Hillsborough was one of the country’s constituencies with the greatest shift from leave to remain. A more recent poll covering the whole of Sheffield suggested that 54 per cent of the city’s residents would vote remain now, compared with only 49 per cent two years ago. Greater Manchester residents, like those in the rest of the North West and over the Pennines in Yorkshire and Humber, are likely to hugely feel the effects of the withdrawal. In 2007-2014 Greater Manchester received £657 million of European Regional Development Fund money, resulting in over 22,244 jobs being created. Some £276 million of European Social Fund money was used to develop thousands of residents’ skills through investment in training. She referred to the closure of Rivington Biscuits in nearby Wigan – which also voted leave – shortly after the referendum. The manufacturer of Pink Panther biscuits faced a rise in the cost of imported materials from the EU because of the drop in the pound. Thirty per cent of the food we consume in the UK comes from the EU, and another 11 per cent comes from non-EU countries but negotiated under trade deals negotiated by the Brussels. According to a parliamentary report published in May 2018, if a trade agreement cannot be negotiated Brexit is likely to result in an average tariff on food imports of 22 per cent. Although this wouldn’t necessarily result in a 22 per cent price increase for consumers there is no doubt that the prices paid at the checkout will increase. Dairy, meat, poultry and wine are set to see the highest cost increase – so avoid scheduling too many dinner parties until a trade agreement is agreed. 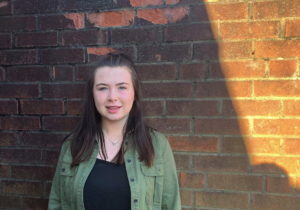 Students in Westhoughton were concerned that leaving the UK would mean lost opportunities. If freedom of movement was restricted, it would become harder to study and work abroad – particularly disappointing for those who want to avoid hefty UK tuition fees. There are also more than 20,000 EU students studying in UK institutions, which enriches our own student experience, but over the next few years that number is likely to dwindle. Westhoughton falls into the constituency of Bolton West. We spoke to Bolton West MP Chris Green to ask his thoughts on Brexit and how it would affect his constituents. Do you think leaving the EU will have a significant effect on towns like Bolton? The EU has been on an inward-looking and downward trajectory for many years and therefore is not ready to meet the challenges of globalisation. By leaving the EU, we can focus on not only coping with these challenges but being able to take advantage of these changes. Do you think the residents of Bolton will be able to notice the impact of leaving the EU on their daily lives? I can’t predict what impact future technology and innovation on business will have but we will be best placed to take advantage of these changes and deliver the jobs of the future for the people of Bolton. Having voted against the withdrawal agreement in parliament this week, what do you think would be the best steps moving forward? The EU will only start to negotiate seriously when we get nearer to the deadline. If the government is resolute, then the EU, who is desperate for the £39 billion of taxpayers’ money, will start to negotiate in a serious way. We will get a deal that is good for the UK and for the EU.